British scientists recently sought approval to release thousands of genetically modified olive flies in Spain as an experimental pest-control alternative to chemical pesticides. If approved, the trial will be first of its kind on European soil. Pioneered by Oxford-based biotech firm Oxitec, the experiment uses sterile insect technique (SIT) to reduce the numbers of olive flies, considered a pestilence to olive crops. 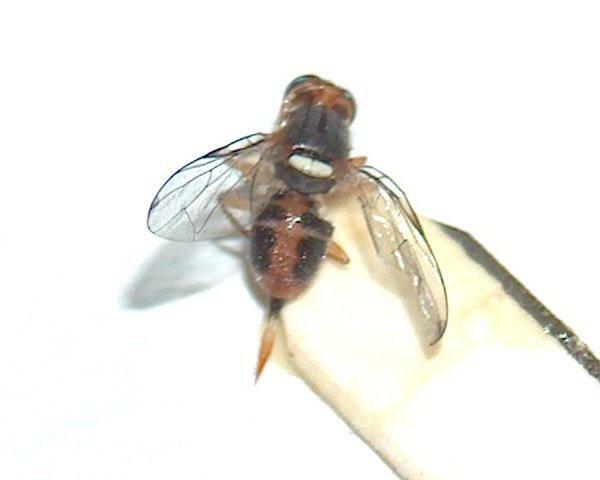 Genetically modified (GM) olive fly males are released into the environment, where they mate with wild olive females. Their resulting offspring would be infertile, so the flies--wild and GM--fail to proliferate. In theory and controlled greenhouse experiments, the concept is a success. Laboratory experiments have shown that the olive fly population could be eliminated in about two months. SIT was designed so that all the genetically modified organisms would die off and not continue to mate. Also, since olive flies only mate with olive flies, only the targeted species would be affected. Chemical pesticides, in contrast, linger and can affect a broad array of organisms. “By using our form of genetic sterility our flies are designed to eliminate the pest and not to stay in the environment.” Dr. Martha Koukidou, lead investigator from Oxitec, said. The flies have wiped out several harvests in recent years, according to Paul di Calabiana Willan, a olivefarmer from Northern Italy. The fly has resulted in major financial losses. If the trials are successful, the scientists hope to test the olive flies in British fields in Greece and Italy next. Like all things genetically modified, the advent of the "Frankenfly" is met with criticism. Even with the olive flies killed, their genetically modified bodies remain, which can make their way into food products and the human body. Little is known about the dangers posed by ingesting genetically modified olive flies, as with other genetically modified materials. This is not the first occasion in which Oxitec had drawn a mix of praise and criticism for its methods. The firm has used the sterile insect technique on the dengue-carrying mosquito Aedes aegypti to reduce levels of the tropical and sometimes fatal disease. Recently, a trial in Brazil showed a 96 percent suppression of the dengue vector. Efforts to test Oxitec’s genetically modified mosquitoes in the Florida Keys in 2012 incensed residents, causing a delay in testing. Many raised environmental and ecological concerns, pointing to holes in SIT technology. Friends of the Earth, an environmental policy group, claims that some of the genetically modified insects could continue to breed. While Oxitec only plans to release males, up to 0.5 percent of the released insects are female, as the released mosquitoes are handpicked by scientists, prone to human error. Furthermore, the genetically modified offspring, designed by scientists to be sterile, are still subject to invisible forces governing evolution, and could evolve to be fertile.